The Olympics have become a real family event in my house. Two years ago I remember my daughter jumping off the couches and chairs as she imitated the gymnasts. Now my daughter and son are leaping off the furniture as they mimic skiers and snowboarders. Along the way they’re yelling “USA, USA” and pointing and cheering every time they see a flag. Enhancing their patriotism at the cost of wrecking the living room. I’ll take it. As I enjoy the winter games from Sochi I am rooting hard for our American athletes (as well as the small but mighty contingent from Israel), but I’ve also found some athletes from other places that certainly deserve our cheers. Alex Bilodeau exemplifies greatness, and only partially because of his accomplishments on skis. The Canadian freestyle skier grabbed the gold in a virtual perfect run this week in Russia. When he was done he wasn’t concerned about himself or basking in the limelight. 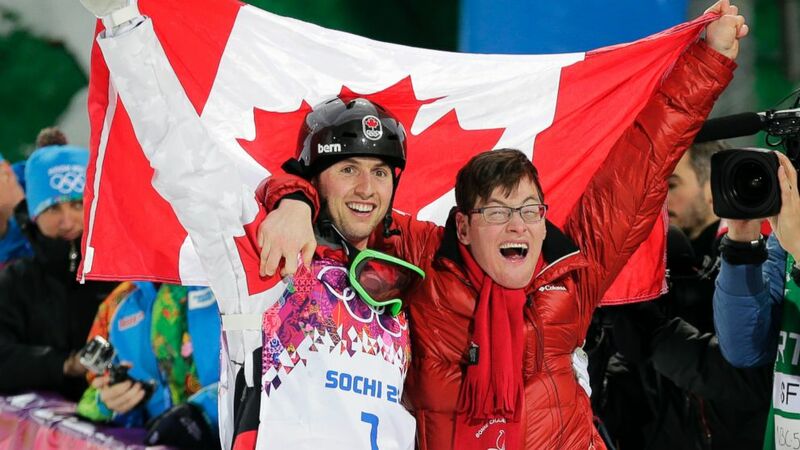 Instead, Bilodeau wanted to celebrate with a very special guy: his brother, Frederic. He dedicated his medal to him. Frederic was diagnosed with cerebral palsy as a child. Doctors said he would not be able to walk past the age of twelve. Apparently, they didn’t realize Alex isn’t the only Bilodeau with the heart of a champion. Over 15 years since that grim diagnosis, Frederic still walks. After Alex finished his extraordinary run Monday night, he ran to Frederic, yanked him over the partition and started to hoot and holler the way brothers do. Alex Bilodeau is a winner. A gold medalist in the Olympics and life. His secret weapon Frederic inspires him to accept nothing less.